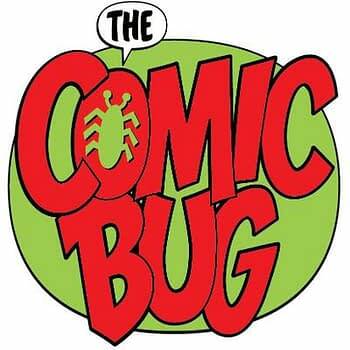 The Comic Bug has two locations in Southern Califronia, one in Manhattan Beach and another in Culver City. And while most stores are celebrating Free Comic Book Day this Saturday, May 5th, Mike Wellman and his team will be celebrating it on both the 5th and 6th turning his two stores into a mini-comic convention. Adam Marcus and I were hanging out in the back room chatting about other stuff when Superman The Movie was starting on the tv. I looked over at the credits and we were admiring how awesome that title sequence was. Then my eyeballs went wide and I said “Waitaminute…” and Adam buried his face in his hands saying “oh no…” knowing full on what was coming next! The rest, as they say, is history! Comic Bug Free Comic Book Day 2018 Promo Final from Adam Marcus on Vimeo. You may have seen my name zoom by in there. I will be attending both days of the show with copies of my Lucius Fogg novels and some comic/graphic novels I’ve written.